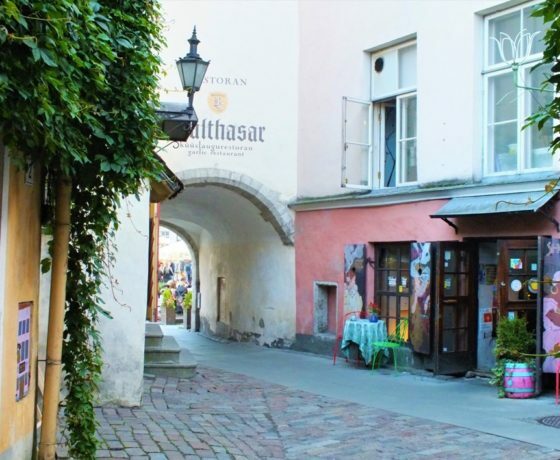 The private accessible tour of Tallinn visits several of Tallinn’s distinct neighborhoods, including the Old Town. 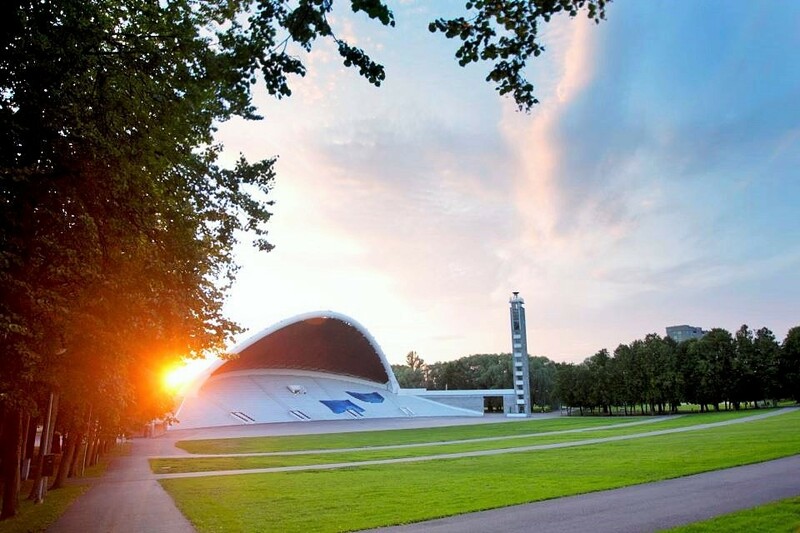 You learn about Estonia´s colorful past and exciting present, and there are several possibilities to stop along the way and spend time off the minivan for a closer look. 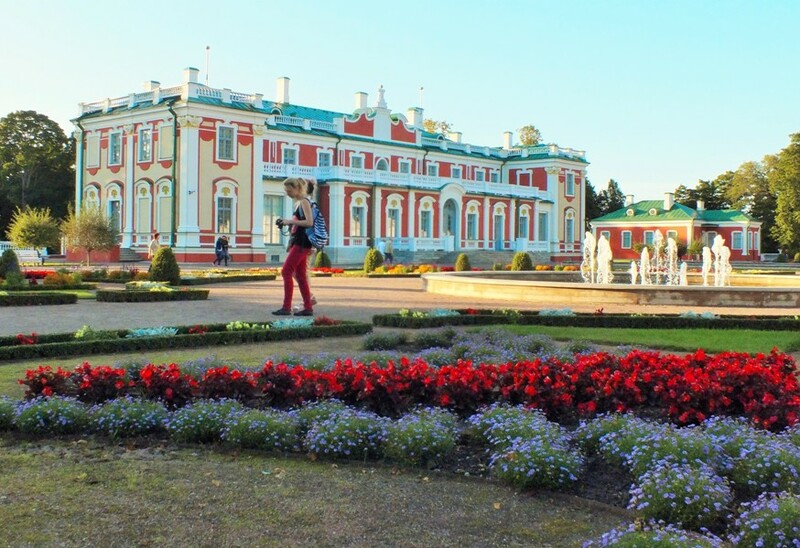 Tour price: 250 euros for your private group of 1-5 people (not per person). Maximum group size: 3-5, please see below for details. 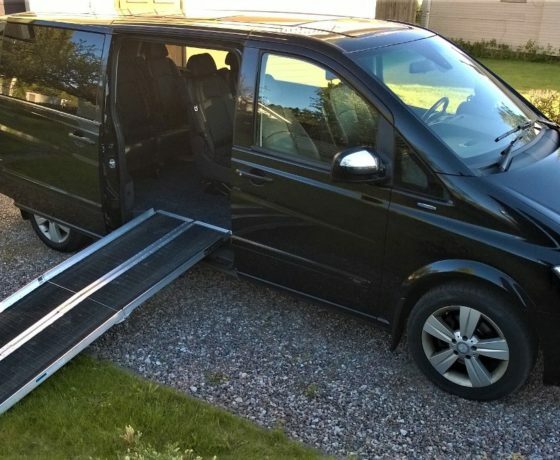 The vehicle used is our Mercedes Viano minivan, equipped with a ramp (the photos are in the gallery). a) mobility scooter user, who is able to transfer from the scooter to the minivan seat: we remove all seats in the middle row, which gives you room to maneuver and then transfer to the seat in the back row. Maximum group size is 3: one scooter user plus two other people, all sit in the back row. During the drive, the mobility scooter is placed in the trunk. b) mobility scooter user, who is NOT able to transfer from the scooter to the car seat: we unfortunately cannot provide you with the tour. 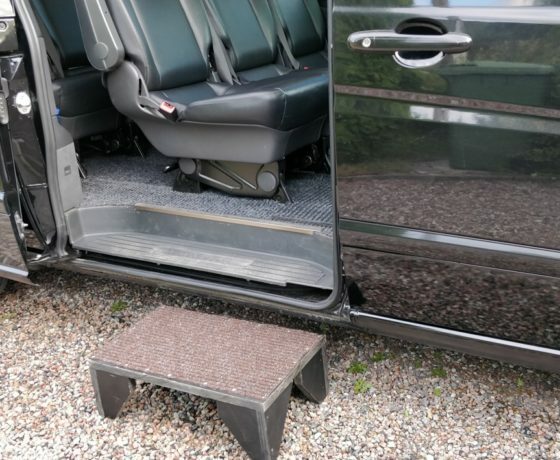 c) manual wheelchair or electric wheelchair user, who is able to to transfer to the minivan seat: we remove one of the seats in the middle row, which allows you to ride to the vehicle in your wheelchair. 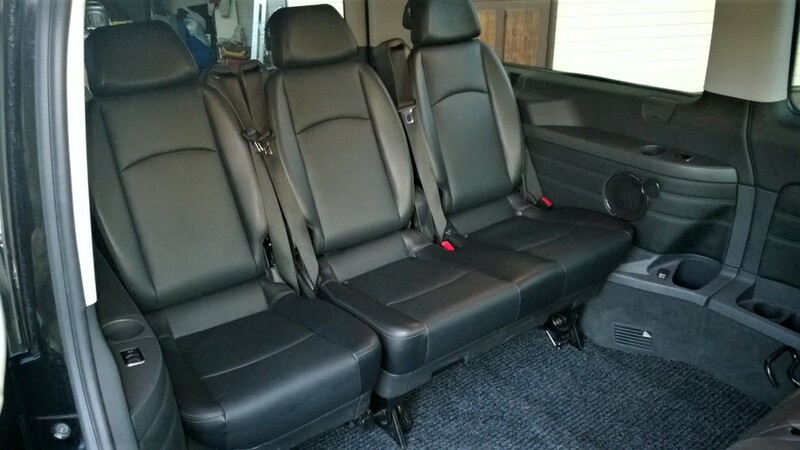 You then transfer from the wheelchair to the minivan seat in the middle row. During the drive, the wheelchair is placed in the trunk. Maximum group size is 4: one wheelchair user (will sit in the middle row) plus three other people, all sit in the back row. d) manual wheelchair or electric wheelchair user, who is NOT able to to transfer to the minivan seat: please be aware the height of the salon measured from the floor to the ceiling is 130 cm/51 inches and the height of the doorway where you enter is 123 cm/48 inches. 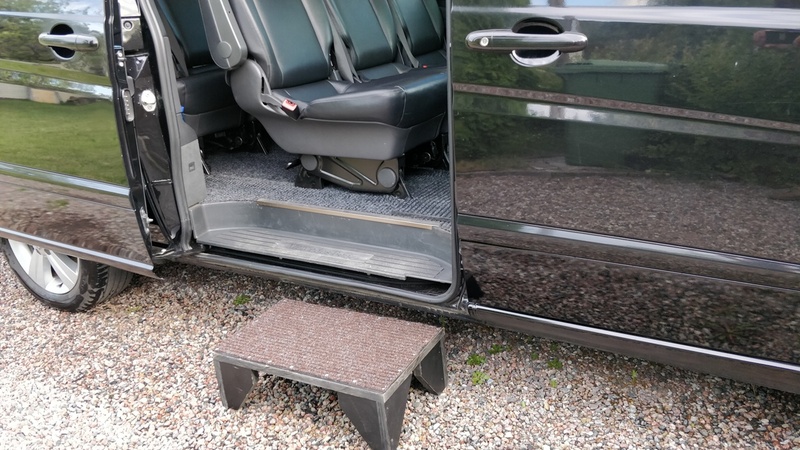 Given that these dimensions work for you as you will stay in the wheelchair during the drive, we are able to provide you with the tour. All seats in the middle row will be removed. Your wheelchair will be secured with tie-downs. Maximum group size is 4: one stays in the wheelchair, three other people sit in the back row. 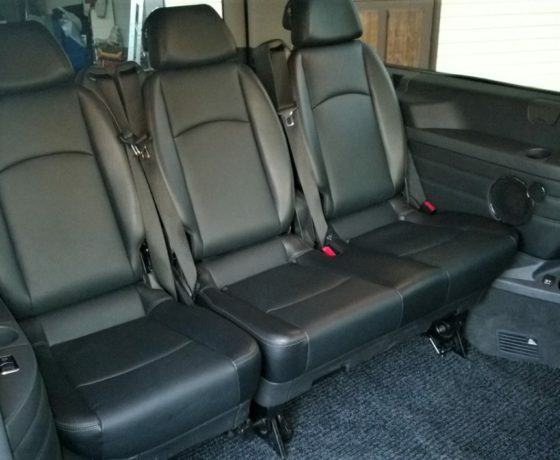 e) person who is able to climb into the vehicle: an extra step makes getting into the minivan easier, please see the photo below. The mobility aid (a walker, wheelchair or mobility scooter) is placed in the trunk. Maximum number of tour participants is 5: two of you will sit in the middle row and three in the back row. 10:00 meet and greet at the cruise terminal exit gate, which is located approx. 300 meters/0.2 miles from the ship. 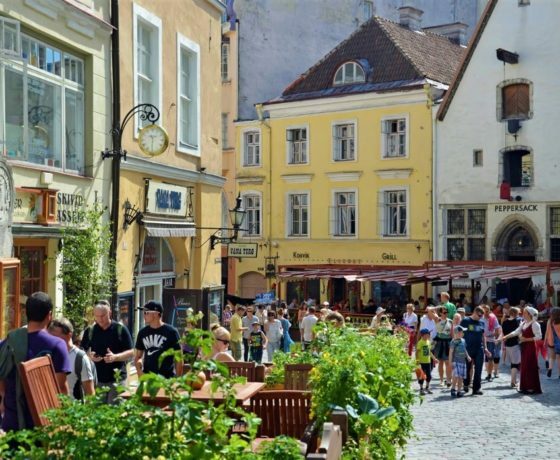 …which was divided into two separate districts for centuries: Toompea Hill and the lower city. You learn about the difference between the two areas and a lot more. 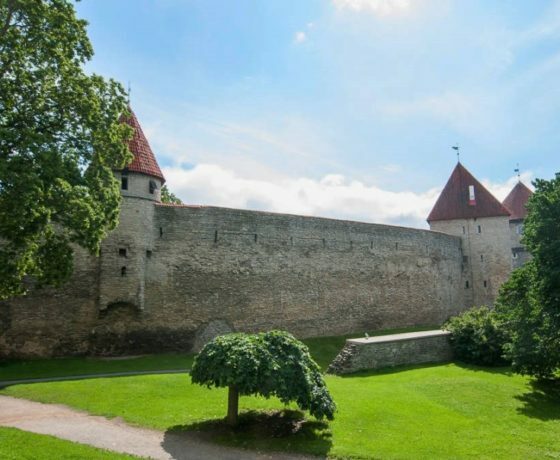 Your private accessible Tallinn tour starts with a visit to the upper part aka Toompea Hill. 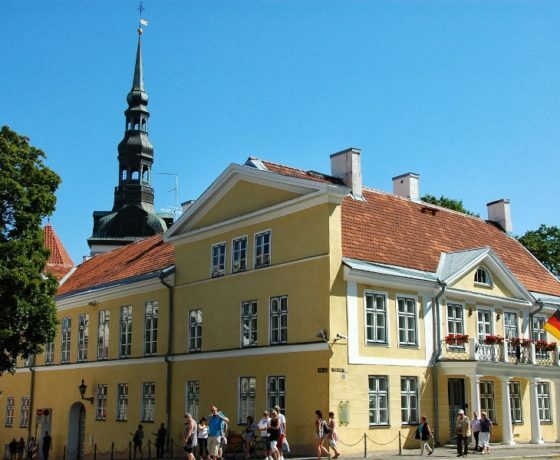 You will see nearly 800 years old St Mary´s Cathedral, Toompea Castle and a Russian Orthodox Church with its onion-shaped domes. 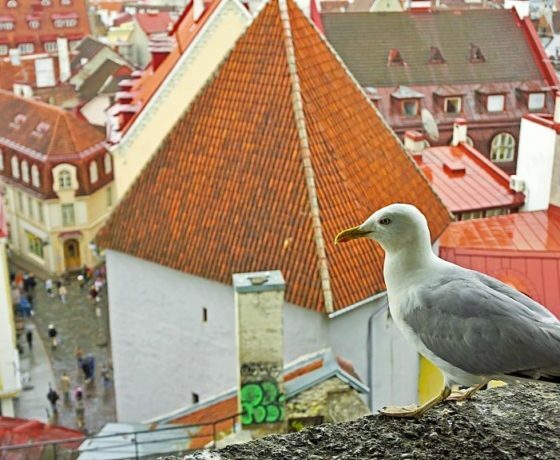 You will have a stunning birds-eye-view over the city from the observation platform. 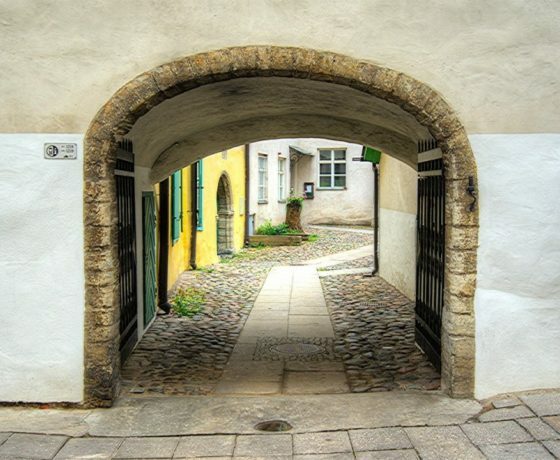 Then it´s on to lower section of the old city. 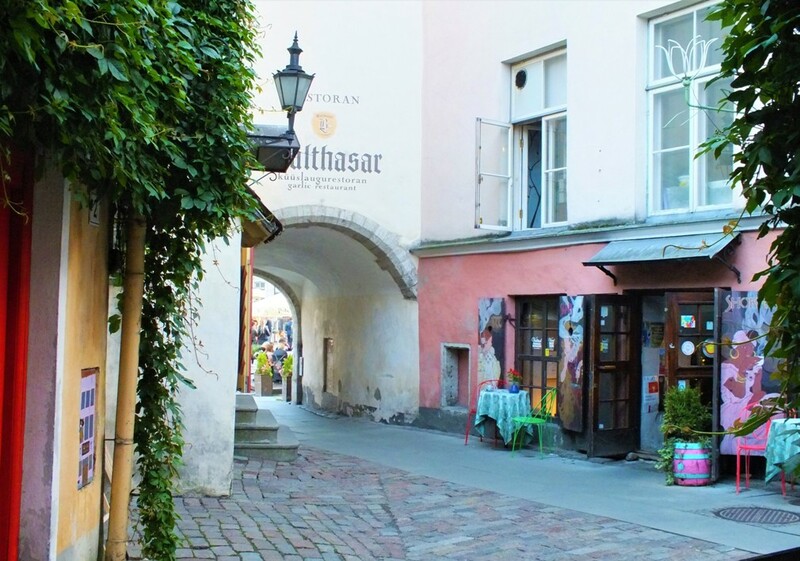 The colorful medieval merchants´ houses and blooming window boxes make for great photos, as we wander around at a leisurely pace. 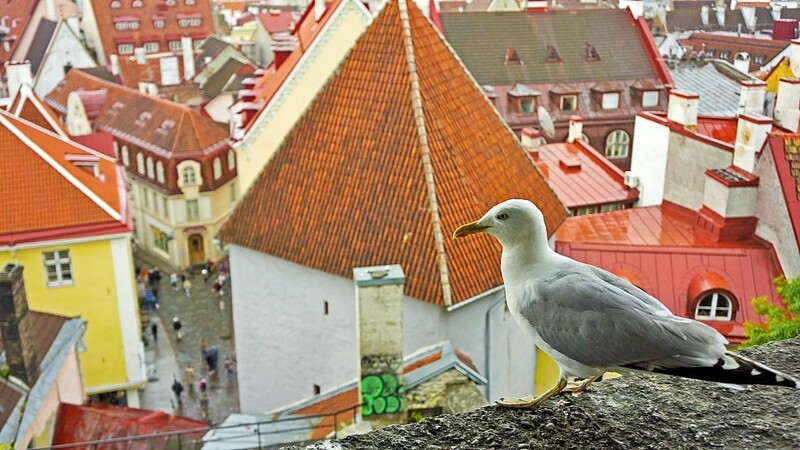 Tallinn Old Town is truly a place worthy of the word picturesque. 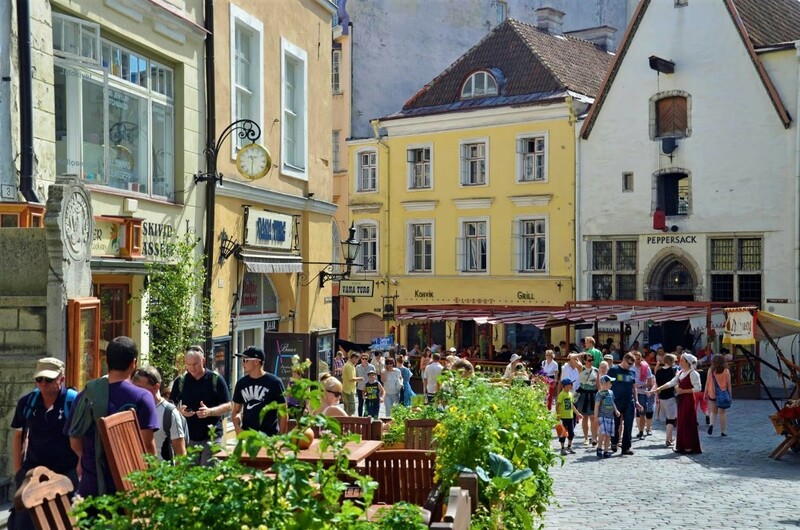 The vicinity of the Town Hall Square can only be visited on foot/ with a wheelchair. The distance is approx. 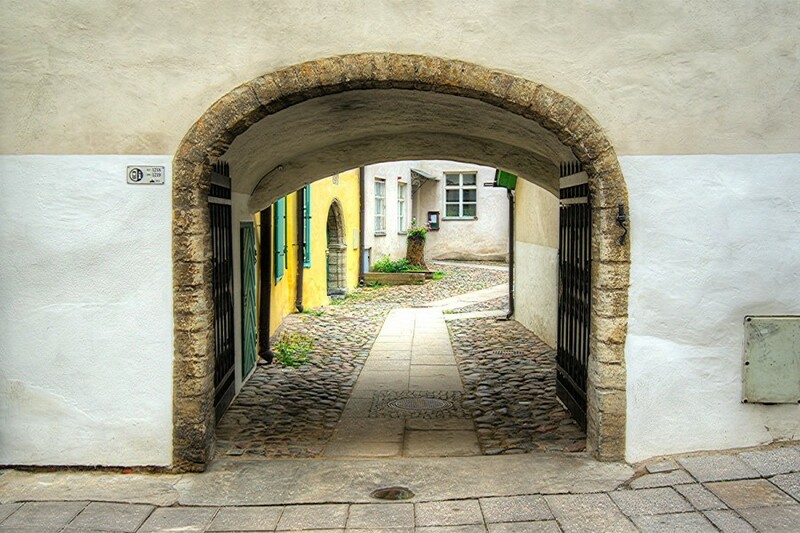 500-600 meters/ 0.3-0.4 miles in total and allows you to see the Great Guild Hall, the Church of the Holy Spirit, Börsi Passage (a lane where history is written on the pavement- literally), the Old Town Hall, the Town Hall Pharmacy from 1422; Viru Gates and the city wall. The route is step-free, though there are some cobblestones and curbs. Most streets on our carefully selected rolling route have plain sidewalks. 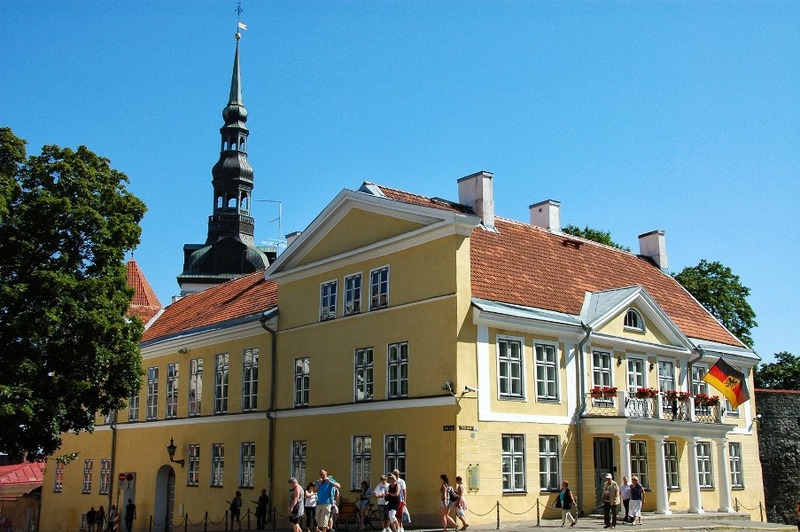 Kalamaja, one of the oldest suburbs of Tallinn, today a well-restored wooden houses area with a strong local community. The Seaplane Hangars with its unique design is the main highlight here. 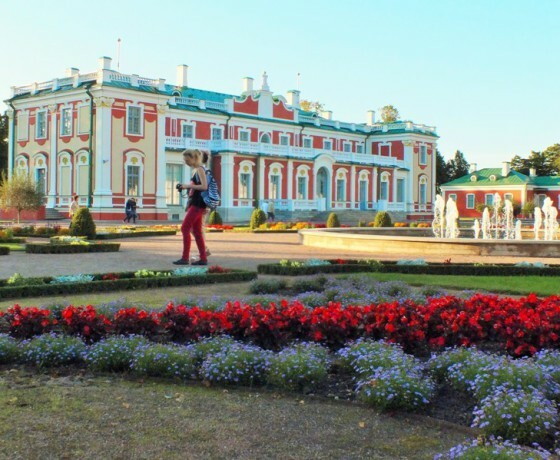 Kadriorg Park– beautiful palace from 18th century built by Tsar Peter I for his empress, Catherine. 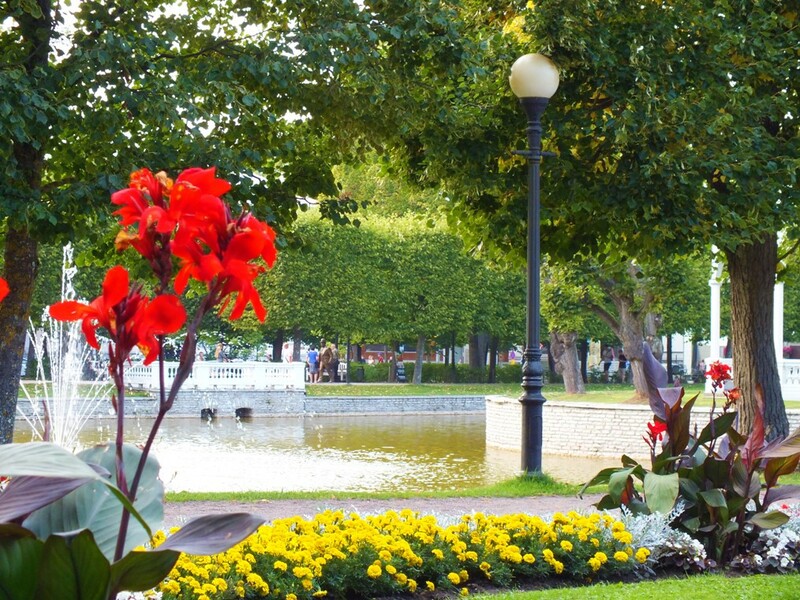 A lovely garden and a pond, Kumu Art Museum, the Office of the President of Estonia. 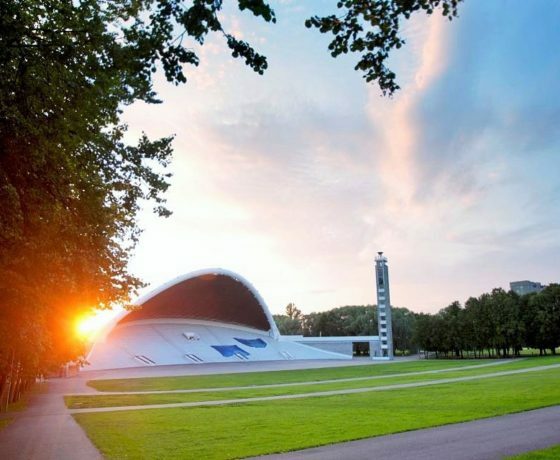 the Song Festival Grounds, the venue for one of the largest choral events in the world, where a choir of 25 000 singers perform to an audience of approx. 100 000 people. 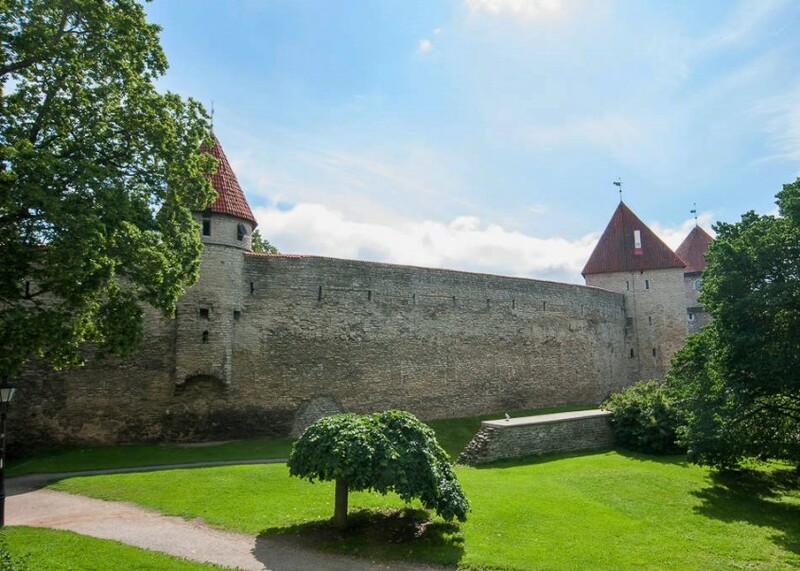 14:00 the private accessible tour of Tallinn concludes with a drive back to the cruise terminal gate to board the ship. Should you wish to stay in the city center for a few more hours, a return transfer is available upon request for an extra cost of 25 euros per vehicle. The transfer needs to be booked in advance. 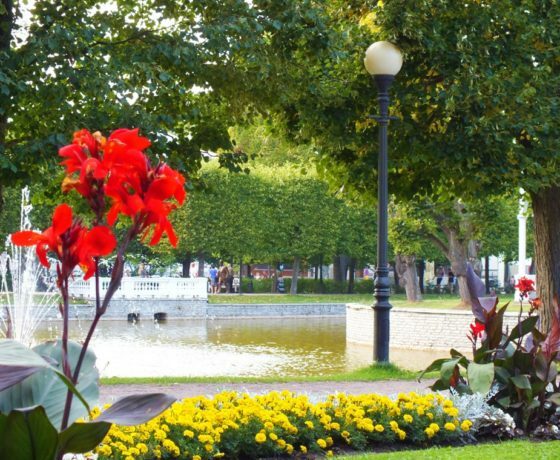 If appropriate, our guide and driver will meet you wherever you are staying in Tallinn. Alternatively, we will suggest a suitable meeting point. We recommend to avoid the rush hours and start the accessible tour between 9:30am and 12:30pm, or at 18:30 – should you prefer a late evening tour. 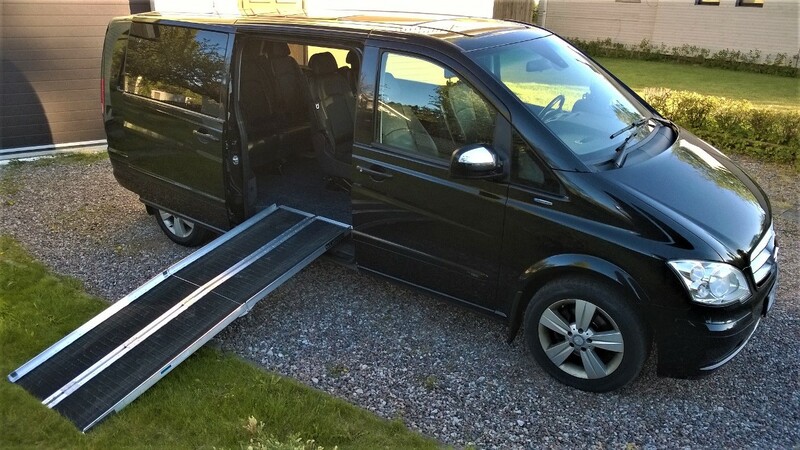 (the maximum group size we can accommodate depends on the type of wheelchair and the ability to transfer to the minivan seat).